Introduction: Who Was Kurt Gerstein? Who is Kurt Gerstein? What is the Gerstein Report? Kurt Gerstein was the chief disinfection officer for the Waffen-SS (the military arm of the SS). In August 1942, Gerstein was sent to Poland to see if using liquid prussic acid (a version of Zyklon-B) would be better than using diesel engine exhaust for mass murder. He visited the Operation Reinhard camps of Treblinka, Belzec, and Sobibor. In Lublin, Poland, Gerstein met Odilo Globocnik, the head of Operation Reinhard, who took him on a tour of Belzec and Treblinka. At these locations, Gerstein observed the murder of Jews in the gas chambers. Gerstein was badly shaken by what he saw and on his way back to Germany he began trying to expose what was happening. He started by confiding in a Swiss diplomat on his returning train, begging him to tell the Swiss government. Back in Germany, he told several Protestant church leaders and members of the Dutch resistance about what he had seen. He also tried to tell the Catholic Church in Rome, but he was denied an interview. Despite what he had seen at Belzec and Treblinka, Gerstein remained in the SS until the end of the war. His job was to provide Zyklon-B to the camps, including Auchwitz-Birkenau, where it was used for the mass murder of some 900,000 Jews. A few weeks before the war ended, Gerstein slipped through the front lines and voluntarily surrendered to the French in Reutlingen, Germany. While he awaited interrogation, he wrote an account of what he had seen in Belzec and Treblinka. He told his captors that in addition to trying to inform the West about the mass murder of the Jews, he had actively worked to sabotage the use of Zyklon-B on human beings at Auschwitz-Birkenau. Gerstein’s French interrogators did not believe his claim that he had tried to misdirect or destroy the Zyklon-B before it could be used on people. Rather than treating him as a star witness, they indicted him for war crimes. On July 25, 1945, after receiving the articles of indictment, Gerstein hung himself in his jail cell in Paris. What did Gerstein see at Belzec? Why there so many versions of the Gerstein Report? Two reports dated April 26, 1945, both written in French. The first is handwritten and the second was typed up from the first. The handwritten copy is indisputably in Gerstein’s hand and the typed copy is signed by Gerstein. On May 4, 1945, he typed up another copy of the report in German and added some new material at the end. We know it is authentic because Gerstein advised his wife by letter that he was being transferred to Paris and that he was leaving it at the hotel desk, where it was later found. This report is not signed. Gerstein started another handwritten report in French dated May 6, 1945. However, for an unknown reason he stopped halfway through and never finished it. The part he completed was substantially similar to the reports that preceded it. The first three copies of the report are a series of drafts, first in French and then in German. Each consecutive draft contains a little more information than the one prior and features some editing. This process continued until Gerstein apparently felt he had achieved his final complete report on May 4. With every draft Gerstein’s account of mass murder in Belzec remained fundamentally the same. There were no significant changes relating to substantive issues about the mass murder of Jews in that camp. The report typed in French on April 26, 1945 was entered into evidence (document PS-1553) at the International Military Trial at Nuremberg in 1946, together with several invoices for Zyklon-B that Gerstein had attached. Gerstein also gave some copies of his report to various Allied interrogators, who then prepared their own reports. These reports made their way through a series of hands and eventually ended up in various archives around the world, also in several languages. In these later cases, any “contradictions” and “discrepancies” cited by Holocaust deniers are virtually irrelevant to disputes regarding the authenticity of Gerstein’s original report. Gerstein cannot be held responsible for subsequent reports that were translated, composed, or handled by others, even when they are clearly based on his original reports. Report 1: In French, handwritten, April 26, 1945. Report 2: In French, typed, April 26, 1945. Report 3: In German, typed, May 4, 1945. The unfinished, handwritten report in French dated May 6, and the copies given to the Allied interrogators, will not be considered. Why do the Holocaust deniers try to destroy Gerstein’s credibility? In order to erase the deaths of some 1,400,000 Jewish men, women and children in the Operation Reinhard death camps of Treblinka, Belzec, and Sobibor, Holocaust deniers must discredit Gerstein and his Report at any cost. How do they go about this task? Their tactics are diverse and sometimes contradictory. Some Holocaust deniers assert that Gerstein’s Allied captors tortured him to get the story they wanted about Nazi atrocities against the Jews. No matter how the Allies got Gerstein’s false report, according to deniers, immediately afterward he was mysteriously found dead in his prison cell. Some Holocaust deniers claim that Allied interrogators may even have had a hand in his death, which they covered up by reporting it as a “suicide.” Then, the Allies must have secretly disposed of his body, as a way of hiding the marks of torture or murder. Other deniers go so far to say that the details in Gerstein’s report are so unbelievable and physically impossible that the entire Report is clearly false. According to this view, it must be simply dismissed as evidence of the mass murder of the Jews. Deniers claim that it was so unbelievable, in fact, that the judges at the International Military Tribunal rejected Gerstein’s report as evidence in 1945/46. Finally, Holocaust deniers often attack Gerstein’s character. They call him a coward, a liar, and a traitor. On the other hand, the self-named “Denierbud,” an American Holocaust denier and YouTube video maker, goes to the opposite extreme. He claims that Gerstein was a German hero. Why? According to the so-called “Denierbud,” Gerstein wrote his report with such impossible details in order that the whole world would later know the Allies tried to frame him and the Report was, thus, clearly false. In his interpretation, “Denierbud” is asserting that Gerstein basically sabotaged the forgery the Allies forced him to make. When all else fails, Holocaust deniers claim that Gerstein was mentally unbalanced, physically ill, or taking drugs that affected his senses. Some even suggest he was outright insane. Our other articles about Gerstein and his report challenge these claims made by Holocaust deniers. For additional reading on Gerstein’s life see Saul Friedländer, Kurt Gerstein: The Ambiguity of Good (Random House, 1969) and Valerie Hebert, “Disguised Resistance? The Story of Kurt Gerstein,” Holocaust and Genocide Studies, V20, N1, Spring 2006, pp. 1-33. These excerpts were taken from the typed report written in German dated May 4, 1945 (Report 3). The translation can be found in Henri Roques, The ‘Confessions’ of Kurt Gerstein (Institute for Historical Review, 1989), pp. 40-43. The original German text can be found in the same book, pages 229-241. Paul Rassinier, Debunking the Genocide Myth (Chapter Thirteen: Witness, Testimonies, and Documents, IV. 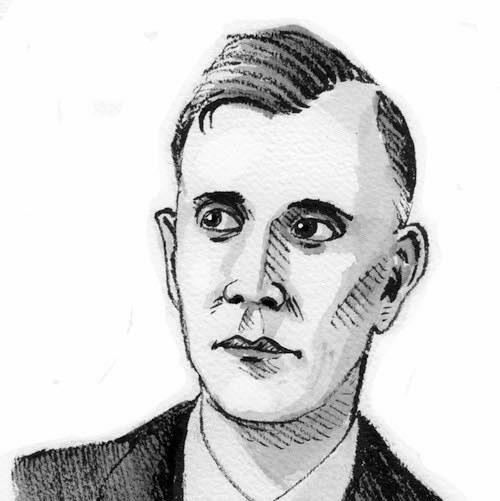 The Witness Kurt Gerstein”) at http://www.ihr.org/books/rassinier/debunking2-13.html. This is the Internet version of his original title, The Drama of the European Jews (Steppingstones Publications, 1975). Ronald V. Percival, “Afterword: The Gerstein Story: Questions and Comments” in Henri Roques, The ‘Confessions’ of Kurt Gerstein (Institute for Historical Review, 1989), pp. 202-204. Ditlieb Felderer, “Most impossibilities of the ‘Gerstein Statement’ at http://www.ihr.org/jhr/v01/v01p169_Felderer.html. See also Paul Rassinier, Debunking the Genocide Myth (“Chapter Thirteen: Witness, Testimonies, and Documents, IV. The Witness Kurt Gerstein”) at http://www.ihr.org/books/rassinier/debunking2-13.html. This is the Internet version of his original title, The Drama of the European Jews (Steppingstones Publications, 1975). See “One Third of the Holocaust” at http://www.youtube.com/watch?v=taIaG8b2u8I at approximately 3:29 to 3:40 minutes. Ronald V. Percival, “Afterword: The Gerstein Story: Questions and Comments” in Henri Roques, The ‘Confessions’ of Kurt Gerstein (Institute for Historical Review, 1989), p. 175.